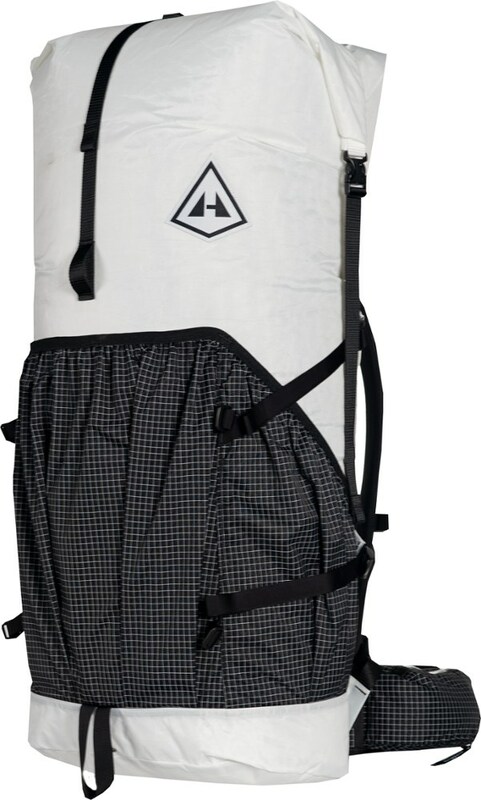 The Hyperlite Mountain Gear packs all reflect the stated HMG design philosophy: "Everything you need, nothing you don't." They are examples of what Colin Fletcher called a "Bloody Great Sack." Just one big interior space with no dividers. The 4400's are the greatest of the bloody great sacks. The only interior features are a mesh pocket behind the back panel, I suppose for a hydration bladder, and a small web loop at the top of same where you could clip a car key or the like. I opted for the 4400 over a smaller size because I hate hanging things on the outside of a pack, and the weight and price penalty seemed worthwhile. My first impression when I looked down into the pack was "Wow it's a long ways to the bottom of this thing." Thought briefly about exchanging it for a smaller model. After just a couple of trips, keeping the 4400 was the right call. After you've packed the bottom layer of gear that you won't be using until the end of the day, it's not nearly such a long ways. The white color of the fabric makes it a lot easier to search the depths. The suspension goes along with the design theme. No extra tension adjusters on the hip belt or shoulder straps. The straps are just wide enough, just firm enough. I haven't carried a truly heavy load in this pack all day, but test carries around the yard with 50 lbs yielded no appreciable loss of weight transfer to the hip belt. I have gone with a 35-lb load and it was fine. 25 lbs is of course better. 15 better still. 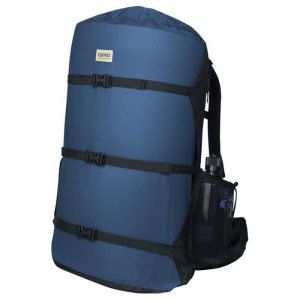 I've carried a few packs with even more comfortable suspensions (Osprey AG for example), but any pack I thought might be more comfortable was at least up in the 5-6 lb range empty, and was smaller. The roll top closure has velcro along most of the opening which makes lining it up for rolling a cinch. After using this, I wish all makers of dry bags would incorporate this feature. It's possible to roll the top down a long ways before the rolled up fabric starts to get hard to manage. 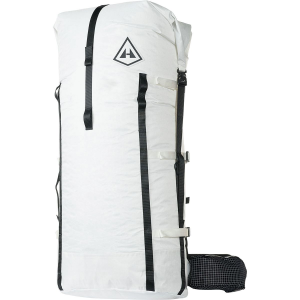 This, along with the well placed (but typically minimalistic) compression straps means you can shrink the pack down to almost day pack size. The "Y" strap setup on the top is a further cinch-down feature and works great if you have to strap something on up there. 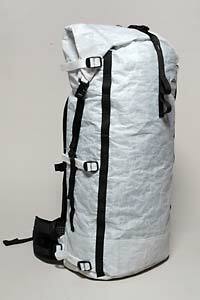 Exterior pockets must give pack designers fits. No matter what size you make them, they'll be too short for some, too tall for others. The large back pocket easily swallows up my daily essentials like water filter, lunch bag, and map with tons of room to spare. I've never had anything fall out of it. The side pouches are tall enough that I've had to tie a short cord to the neck of my water bottles in order to pull them out with the pack on, but it works. 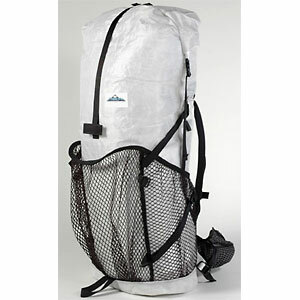 I wanted the mesh pockets of the Windrider vs. solid like the Southwest for carrying wet things and fuel bottles. 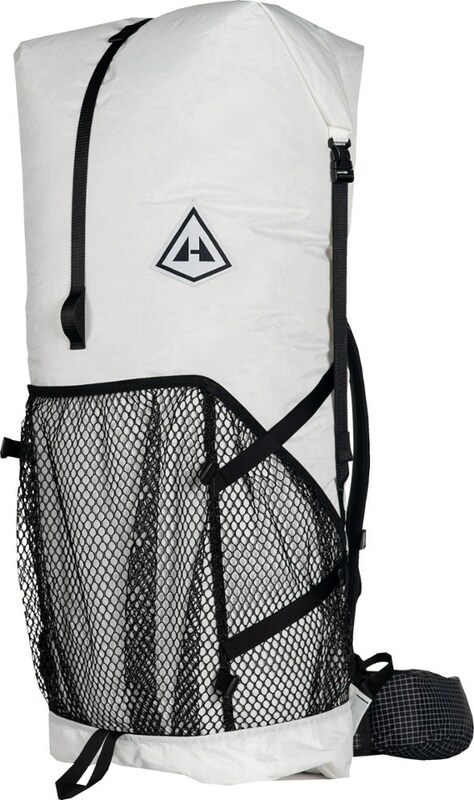 The side pockets are roomy enough to tuck the bottom of tall things like an umbrella or hammock spreader bars in alongside water or fuel. To my eye, another beauty of the spartan design is that the only zippers on the pack are tucked into the small pockets on the hip belt where they can't cause too much mischief. They work smoothly, so far. As far as I can tell, the only things keeping the 4400 from being a true dry bag are the two small drain holes in the bottom corners, and the port for a hydration hose to exit. I really think if you were to seal these three places with, say, some tenacious tape, that you could use this as a river-trip duffle. Rabid organizers who need a lot of pockets and pouches will not be happy here. If, like me, you believe in gallon zip lock bags tucked into a bombproof, absolutely weatherproof 2 1/2 lb shell, this is the ticket. Nice review, Tim! HMG does make great packs. If you have some pictures of yours in use, those would be helpful for others to see in your review. The drain holes are just for the outside pockets...there is DCF separating them from the main compartment. But still, my pack does get a little water in through the seams. Twig is correct, the drain holes in fact do not penetrate the interior of the pack. I haven't done a submersion test since the hydration hose port would leak, but I have had it out in some pretty severe rain and not seen any leakage. I think once things get above freezing around here I'll pack it full of towels and do a high pressure hose test. I wouldn't try too hard, as you will find leaks. Best to always use a packliner. Don't get me wrong, it's still the best pack I've ever used and served me well during a thru-hike. I don't use a pack cover, but do use a packliner and umbrella. In a light rain, it's fine. In a downpour, it just somehow gets in. Ever other thru-hiker with this pack that I've talked to has reported the same thing. 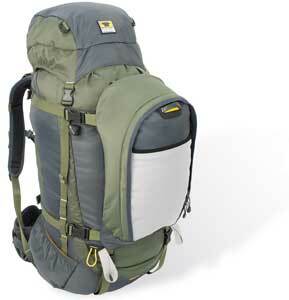 For me, the key advantages are that the pack doesn't absorb much water, if any, which weighs a pack down.